The Smithsonian American Art/National Portrait Gallery (AAPG) Library's collection has many special treasures. Few are unique items, but those that are unique are quite special. One of the library's unique items is an album of cartes-de-visite. 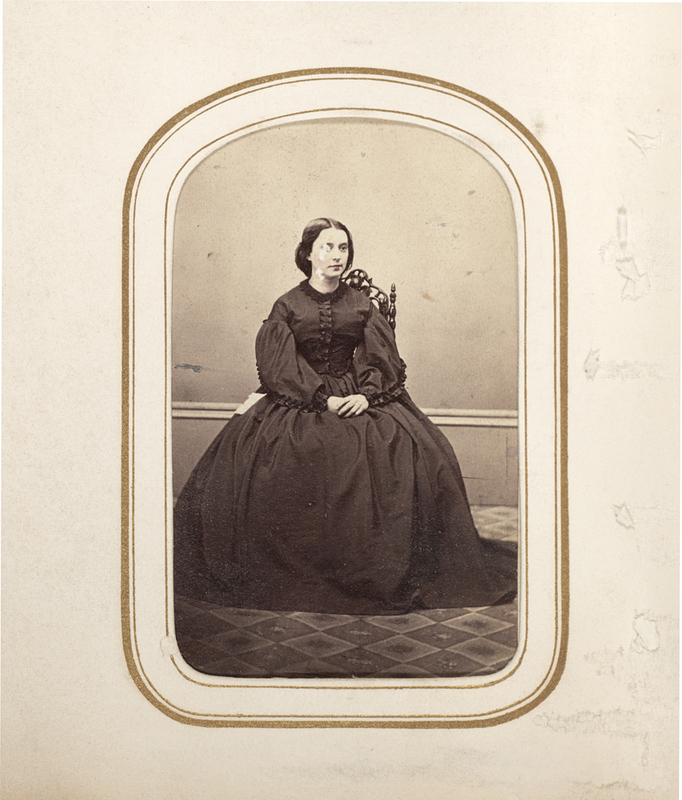 The carte-de-visite was a type of photographic calling card that became popular with the development of photography during the mid-19th century. Collecting cards featuring famous people became popular and many collections ended up mounted in pages in an album like the one reproduced here. The anonymous person who collected the cards in the AAPG Library's album must have been interested in art because the majority, if not all, of the identifiable people are artists. This unique collection has been digitized by the Smithsonian Libraries and the entire album has been made available online in the Smithsonian Libraries' Galaxy of Images. The first part of the album is dedicated to American artists of the 19th century, featuring such famous names as Samuel Morse, Hiram Powers, and Rembrandt Peale as well as artists less well known today. 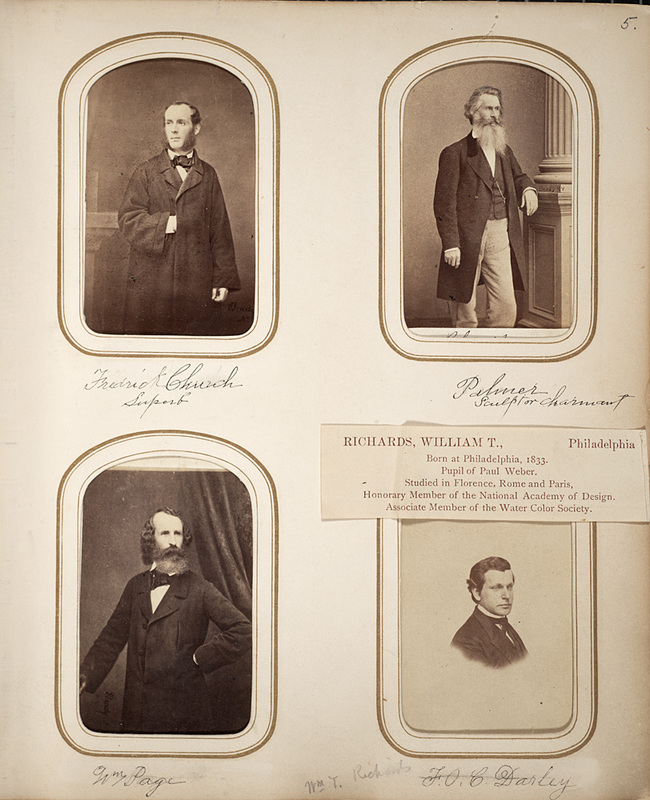 The page above is a representative page depicting clockwise from top left, Frederic Church, the famous painter of the Hudson River School, Erastus Dow Palmer, William Richards, and William Page — all three arguably lesser-known today. After the American artists, this collector added images of famous European artists, including portraits of Jean-Baptise-Camille Corot, Rosa Bonheur, Jean Auguste Dominique Ingres, and Eugène Delacroix. However, some of the presumably well-known artists at that time are not identified including the portrait of the woman above. Is she an artist? Probably, as all identified in the album were artists (including John Ruskin, although more famously know for his writings and art criticism). Is she European? Possibly, judging from her placement in the album, although she is placed right next to Daniel Huntington a famous New York artist. No photography studio is evident. Any ideas? Previous Post New Arrivals in the History, Art, and Culture Digitization Project!